Los Angeles, November 3-5, 2017, the Bayer Leaps Pavilion, a globally touring installation designed by Dreamland Creative Projects, officially launched Bayer Leaps at the Summit LA 2017 event. 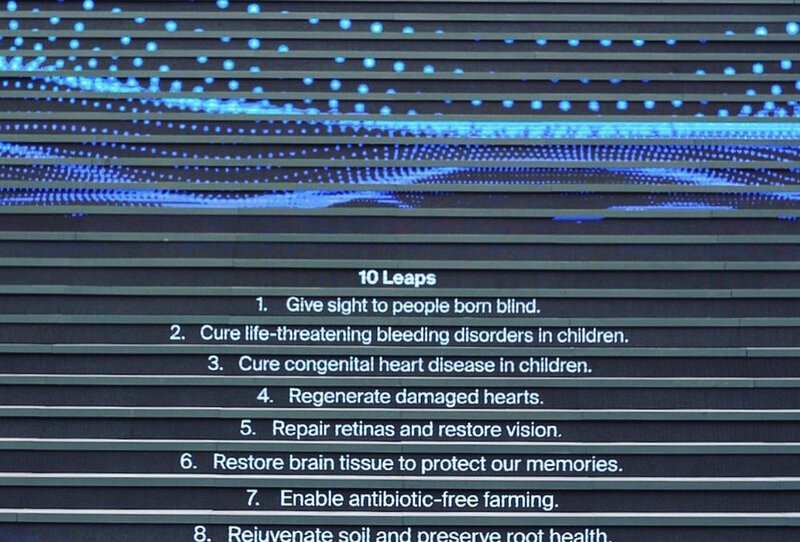 "Bayer Leaps (of BAYER AG) takes the initiative to generate breakthrough solutions in life science, aiming to conquer ten huge challenges facing humanity. These seemingly impossible challenges are being taken as leaps of faith." 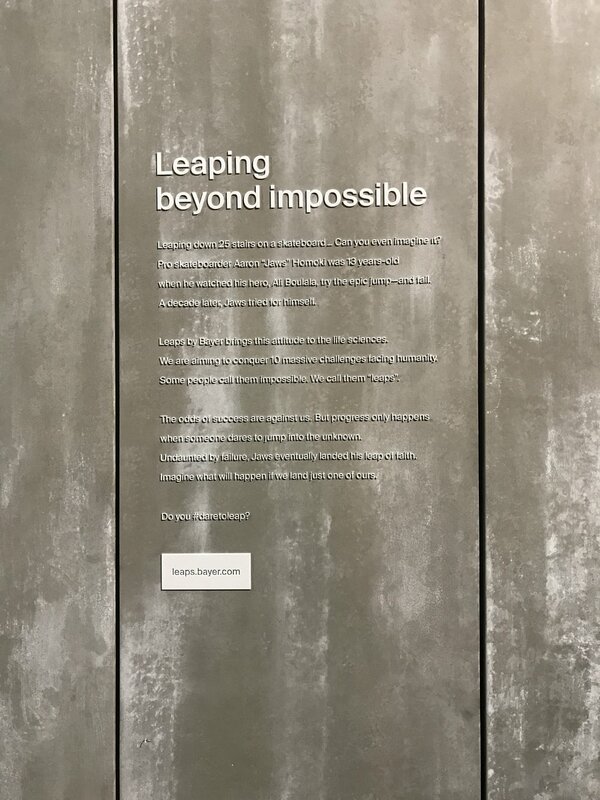 The focal point of the Bayer Leaps Pavilion, designed by DREAMLAND CREATIVE PROJECTS, emulates the actual concrete stair in Lyons, France, the location where Pro Skateboarder, Aaron “Jaws” Homoki attempted the longest skateboard LEAP. Injured by the leap, Jaws made a complete recovery and returned to the stair to try it again. 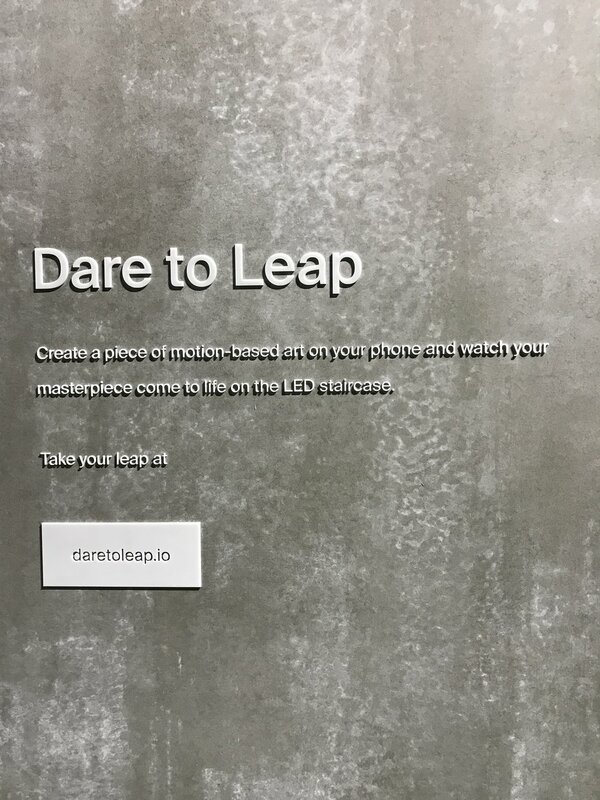 The Leaps Stair touring installation is a symbol of the ‘leap’ and the attempt to achieve the impossible. The 25 steps of the staircase, brings the brand mission of Bayer Leaps to life, and is a story of never giving up. The design uses the concrete stairs foremost, as the generator and seed for all design elements, finishes and details. Underneath the stairs, and hidden behind the massive doors is a sanctuary, an experiential space for mindfulness, gathering, conversations, relaxation, meditation, yoga, tea ceremonies, and fireside chats. The soft, organic sanctuary finishes on the interior, contrast with the hard concrete finishes of the exterior. Simplicity of modular details, fluid and flexible continuity, over scale and perspective, create cohesive unity. The experience is then enhanced with transformative day and night interactive digital messaging, which tells the story of the leaps. The stairs and sanctuary welcome, invite and inspire the big dream. The New Aspen Art Museum is a Kunstalle located in downtown Aspen. Designed to harmonize with the beauty and mountains of Aspen, five key design components were implemented in this 33,000 square feet museum: The Moving Room Elevator , Grand Staircase, Wooden Screen, Wooden Roof Structure and the Walkable Skylights. The design captures the experience of ascent and descent, similar to the experience of skiing, using locally inspired materials in innovative ways to integrate the connection with the beauty of Aspen. As Director for Shigeru Ban Architects. Photography by Michael Moran. 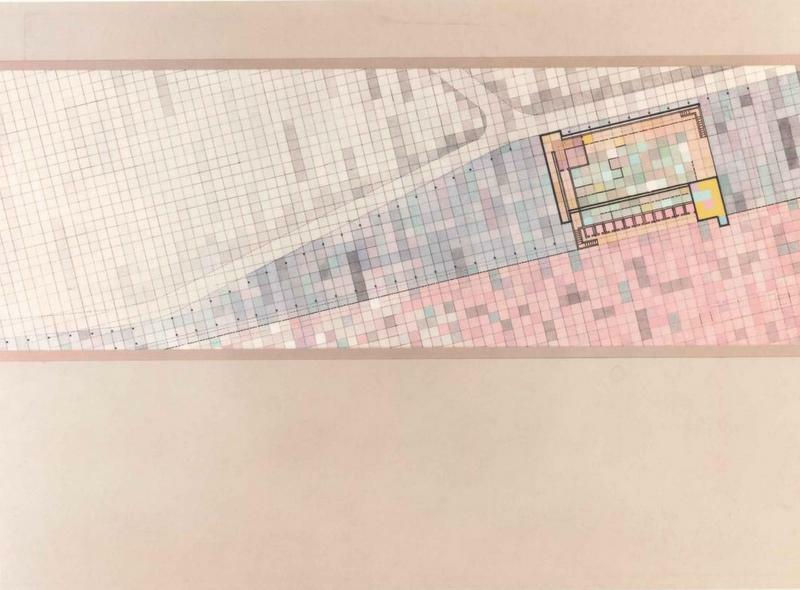 The first design of the Aspen Art Museum, prior to the design of NAAM, was located on an alternate site in Aspen, adjacent to the Courthouse. This design takes advantage of the site slope, and views to the park and plaza. The interior opens up to all views. A separate circular education and administration building links to the main gallery building. As Director for Shigeru Ban Architects. The Landmark theater, built in 1932 to uplift spirits in the depression, called the ‘showplace of the nation’ was restored in 1999. The Auditorium, Stage, Grand Foyer, Mezzanines, Grand Lounge, Back of House Dressing Rooms and iconic restrooms were revived. The restoration included original interior finishes, furniture restorations and new production and technology systems. As Associate for Hardy Holzman Pfeiffer Associates (H3). The Pompei project focused on an efficient visitor experience with the simultaneous preservation of the archaeological objects. The design created an underground theater, sheltered covering, wayfinding signage, a movable container system and a treasure house, to assist the ongoing excavations. As Architectural Designer for Renzo Piano Building Workshop. Drawings by: Fondazione Renzo Piano. The Newport Art Museum design, took its design inspiration from the adjacent water. It was conceived as spines of rolling waves with internal gardens, linked together with a circulation route giving visibility to both galleries and back of house operations. As Architectural Designer for Renzo Piano Building Workshop. Drawings by: Fondazione Renzo Piano. Lido is a proposal for a re-interpreted Lido facility inside a park adjacent to the River Thames in London. Lido spatial fragments are dispersed and submerged into a pool of water, creating platforms for performance. Water levels are controlled for dry and wet shows. An L-shaped corner wall contains a vertical ampitheater with spectator seating for concert and fashion events. With Dreamland. The photographers gallery is a series of workshops and galleries linked with an overhead structure and viewing platform creating the means for internal and external viewing of exhibitions and operations. With Dreamland. El Dorado is a visionary city proposal which attempts to capture and re-translate energetic memories of New York City. Based on personal dream vignettes of experiences in New York City, choreographic notations (rather than architectural drawings) inspire the design of mysterious dance sequences, which were performed interactively with energetic street patterns projected on the wall. Performed in London and Paris. With Dreamland.